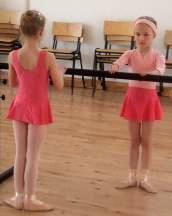 Although not compulsory, children are encouraged to take ballet exams from the age of 5 years and upwards. We follow the teaching methods of the Imperial Society of Teachers of Dancing (ISTD) and enter children for examinations annually. The school has an excellent, 100% exam pass rate, and a high percentage of children pass exams with A grades. The examination structure of the ISTD is designed to cater equally for those pursuing dance purely as a leisure activity and for those who wish to progress to making dance their profession, either as a performer or dance teacher. Working for an exam gives children motivation and focus, as well as a real sense of achievement when the exam is passed and the official certificate is awarded. Congratulations to all our pupils for successfully passing their ballet exams in July 2018. A select number of pupils have successfully attended the Royal Ballet School Junior Associate programme which exists to nurture young talented children in their pursuit of excellence in pre-full time classical ballet. 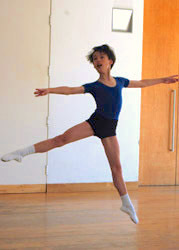 This is a shared scheme for children aged 9-13 years and classes are held weekly at the Royal Ballet School, Covent Garden.